Bathroom Remodeling. Kitchen Remodeling. Fireplace Remodeling. Since 1993. 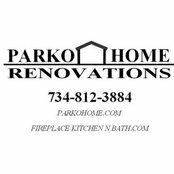 Parko Home Renovations of Canton Michigan and Interlochen Michigan has been providing quality Fireplace remodeling and Fireplace Refacing, Kitchen remodeling, and Bathroom remodeling to the South-Eastern Michigan and North-Western Michigan. 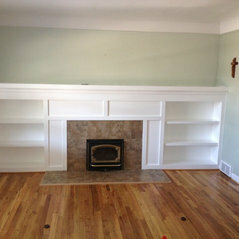 Custom Designed Fireplace remodels are built at your house. We can reface your existing fireplace. Never a fireplace a Lowes or Home Depot mantle or Fireplace surround kit. A Canton Michigan Wholesale distributor of fireplace chimney caps and fireplace installation equipment. kitchen remodeling starts with the kitchen design and layout at your house. Why would you go to a store and meet with a designer and leave your kitchen behind. bathroom remodeling process has been fine tuned through the years. We use proven techniques with new technology to provide a bathroom renovation that will stand the test of time. Let us help you design your custom Fireplace surround by including a Flat screen high definition televsion and surround sound system. As a NKBA member, We have teamed up with local cabinet wholesale distributors to give great prices on Kitchen cabinets for your Kitchen remodeling renovation budget. We receive builder discounts from various tile suppliers for your Fireplace remodeling, Kitchen remodeling, and Bathroom remodeling. The builder discounted price they give us we pass onto you our customer.